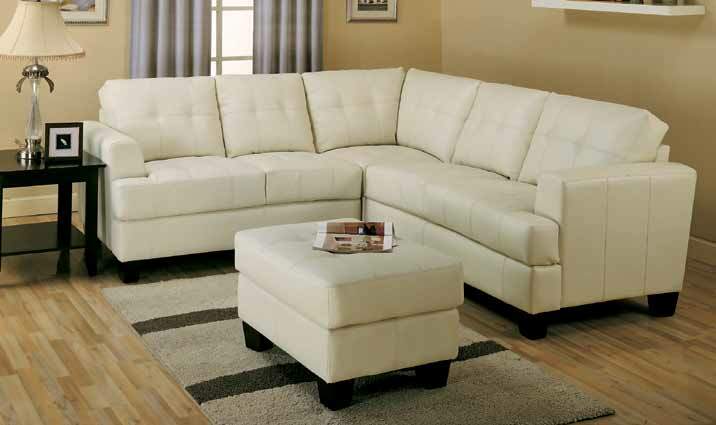 This sleek contemporary bonded leather sectional sofa will give your living room a sophisticated style. 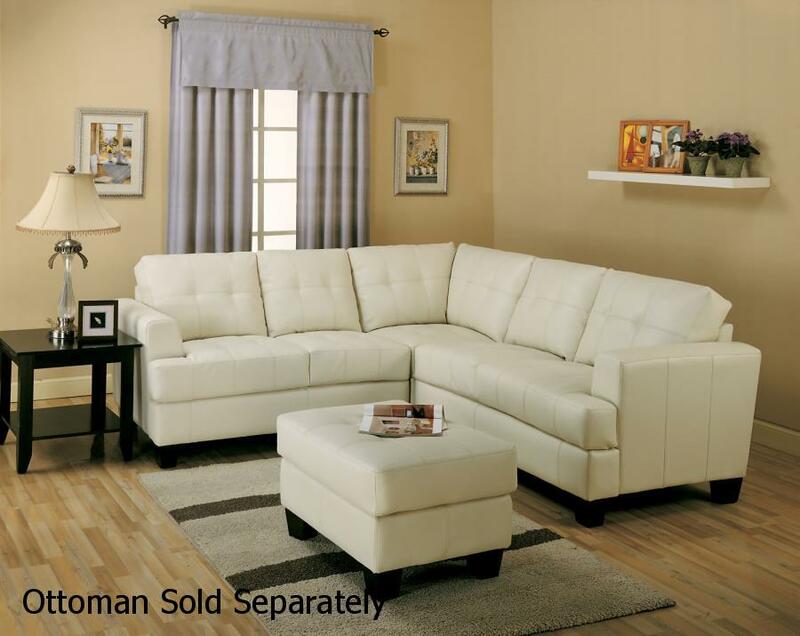 The plush high tufted look back cushions and deep seat cushions will keep you cozy, offering enough space the whole family to lounge. Wide track arms and square tapered wood feet complete this modern look. 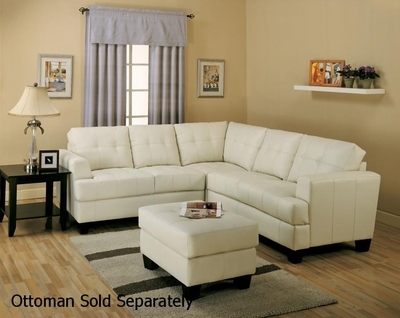 This comfortable contemporary sectional sofa is sure to blend beautifully with your decor, for a warm and inviting look that everyone can enjoy.